The third and final member of the ultra-popular rap trio Migos to release their own solo project as we wait for Culture III, Offset actually takes the opportunity to do something you don’t often see the group doing: opening up and getting emotional. The album delayed due to relationship drama with Cardi B, Offset has quite a few tracks here acknowledging his mistakes and reflecting on himself, as well as zooming the lens out a little further and giving some insight and storytelling tracks into his upbringing and his relationships with the rest of his family. FATHER OF 4 does suffer from filler and long album syndrome as well as the lack of the other Migos to play off of, but has its fair share of surprises as well. Offset exists in a kind of commercially viable middle ground between his groupmates, possessing parts of both Quavo’s charisma and Takeoff’s technical ability. Of all the things you might have expected a Migos-affiliated album to open with, it might not have been a somber orchestral arrangement, contemplative piano and Offset’s heartfelt ruminations on the births of his 4 children, addressing each of them by name and apologizing for the times he wasn’t there. The track gives a pretty good indication of how the rest of the album is going to go – while Offset might have the least natural musical instinct of the three Migos, his Auto-Tuned flow here never quite finding that catchy pocket or fitting with the song, what he’s saying is genuinely captivating, and that’s the part that makes FATHER OF 4 really work. The next track, “How Did I Get Here”, features J. Cole and finds the two reminiscing on making it out of the cycle of crime to find success. It certainly doesn’t reach the same level of depth as the last one, falling back into some more Migos-esque bars, but at least it’s about something – again, something that’s pretty rare for the trio. Cole really elevates the track with a much more aggressive delivery. Honestly, for all the oversaturation Migos have had recently, you still can’t deny the energy of their greatest bangers, and Offset certainly delivers a few of them here, even if I do miss some of the complementary voices as the tracks go on. “Lick” rides a nice flute sample and fuzzy bassline and sees Offset switch up the Migos flow for a catchy chorus. Offset’s speedier flow is infectious, and there’s something about that “woo! woo! Offset!” adlib that sets me off every time, and the busy trap beat of “Made Men” and driving, slightly eerie synth line of “Wild Wild West” certainly allow him to show off his greatest skills. But undeniably the best classic Migos trap banger on the project is a collaboration with none other than Offset’s wife on the track “Clout”, featuring a dramatic piano loop and an absolutely hilarious and personality-driven verse from Cardi as Offset reflects on the clout-chasing culture they are caught up in. One of the most surprising tracks on the whole album is “North Star” with Cee-Lo Green, which begins like a pretty standard trap cut before some acoustic noodling creeps in and the track gets spacier and moves into some creeping, ethereal synths that reminds me of something like the awe-inspiring nature of an ODESZA track – the perfect arena for Green to enter with some absolutely incredible and theatrical vocals, building on Offset’s paranoid bars with some powerful lines about perseverance. Backed by a gospel choir, it gives me chills every time and the fact that it came from a Migo is amazing. “Don’t Lose Me” is another compelling look into Offset’s emotions, opening with a clip from his public apology to Cardi and proclaiming that he wants to be with her for life. Of course, this wouldn’t be a Migos album without its fair share of tracks that serve only as uninspired filler and sound like they were made in a couple minutes – because they probably were, as the Migos will readily admit. Tracks like “Tats On My Face” and “Underrated” are some of the hardest on the project, but fall very flat since we’ve heard so much similar material from them already. There are a couple more tracks at the end that are loaded with features from all over the industry, but even they can’t quite liven it up after track after track of the same Migos flow – Travis Scott sounds especially lethargic on “Legacy”. Ultimately, I’m glad that we did get these three projects from each of the Migos members, as it did allow them to display their greatest strengths. As always though, they’re better together. If we’re measuring them against each other, I’d say Takeoff’s project takes the crown, but this one’s right behind. What is there to say that hasn’t already been said about 18-year old viral sensation Lil Pump? Perhaps known even more so for his antics on social media than his music, even after racking up nearly a billion views on his single “Gucci Gang”, Pump fully embraced his status as a living meme as soon as he strut down that hallway next to Kanye West in a Roblox costume. Harverd Dropout is his second studio album, and it’s been pretty universally panned, but to be completely honest – I have a lot of fun with Lil Pump’s music. It might be some of the most mind-numbing material out there, but the sheer enthusiasm with which he embraces the persona he puts out – just the way he delivers the line “I’m a millionaire, but I don’t know how to read”, adding a cheery “nope!” as an ad-lib on the track “Be Like Me” as an example – makes it hard to hate the guy. Fine, fine – it’s objectively terrible music. But there’s a lot of terrible music that isn’t anywhere close to being this fun. Lil Pump’s “ooh!” (and the usually accompanying “huh? ?”) is one of the most visceral, inexplicably energizing ad-libs I’ve ever heard. There’s something so gleefully ignorant and flippant about it, and it’s the perfect way to punctuate Pump’s ridiculous lines – my favourite of which might be Pump, with an audible giant grin, saying “I gave lean to a newborn baby” on the track “ION”. The first two brief tracks “Drop Out” and “Nu Uh” both see Pump flexing about dropping out of school (now he’s richer than your mom) over some garish 8-bit synths and a breakneck tempo that brings out the most hyperactive sides of his youthful vocals. And of course, this drops right into “I Love It”. The fact that this track hit top 10 is absolutely hilarious to me. Pump and Kanye both knew exactly what they were doing with this track, and everything they do on it falls right in the perfect uncanny valley between serious and jokey. It’s the same reason “Old Town Road” is so huge right now, and “I Love It” is so genuinely maddeningly catchy that it can’t be seen as just a joke in the same way. Honestly, some of the most taxing moments on the project actually come when feature artists are invited into Lil Pump’s world, since nobody exists on the same level of absolute memery as him. The closest thing we get is goofball 2 Chainz on the track “Stripper Name”. Pump actually tries to be more serious to match their average contributions instead of the other way around, and his complete lack of ability as an actual musician gets exposed in the process. The two features from members of the Migos on the tracks “Fasho Fasho” and “Too Much Ice” are so phoned in, and the repetitive beats that Pump frequently raps over aren’t as fun when Pump doesn’t have any of those trademark outlandish quotables overtop. The latter just … really hurts my brain. It’s all a little too loud. Lil Wayne’s verse on “Be Like Me” really isn’t that bad, but it’s easily the longest track here and it’s clear they were trying to get a real single out of Pump. He just doesn’t work in a traditional song structure; Pump is fully a product of the short attention span generation. It’s really a very strange balance with Lil Pump – much like making something catch virality on the internet – there’s a very fine line here between headache-inducingly terrible and absolutely hilarious. It really makes it hard to give the project a score, or even write up serious criticism on it. Take the track “Vroom Vroom Vroom”. It really is little more than Lil Pump making a series of car noises. And maybe it says something about me, but I can’t help but smile when I listen to it. Can I, a music reviewer, even call it music? Debatable. The man drops Fortnite bars on “Off White”. He knows what he’s doing, and it’s not making music. Lil Pump isn’t real. He’s a character, and a pretty funny one at that. I equate his music, quality and enjoyment level wise, to something like what The Lonely Island was making back in the day. And while no one was arguing that was high art, and it certainly had its fair share of huge misses, it was still pretty enjoyable. I’m looking forward to what in the world this guy is going to do next. ESSKEETIT!!!!!!!!!! Score: 🤑/10. Man, I don’t know. Let’s just say 6/10, I guess. It’s been about 5 years since a deep-voiced Irishman invaded pop radio with an unlikely hit single about the hypocrisy of the Catholic Church, and Hozier has finally returned with his second studio album, Wasteland, Baby! After an introductory EP that gave us the impactful and moving protest song “Nina Cried Power”, which landed on my top tracks of the year list, and the mellower track “Shrike”, the full album is a reminder of everything that we loved about the disruptive force in the mainstream music scene in the first place. Standing at 57 minutes in length, it’s hard not to see through Hozier’s formulas at times. A couple of these tracks sound a bit like a copy-and-pasted “Take Me To Church”, but there is still essentially no one else successfully occupying his lane. Most of the singer-songwriter types from 5 years ago failed to adapt, but Hozier still sounds fresh as ever. After the fiery opener, the project drops into the track “Almost (Sweet Music)”, which, if we’re connecting these tracks to his older material, is this album’s “Jackie and Wilson”. I still think that’s Hozier’s greatest song, so I don’t much mind the adherence to formula here. Hozier’s voice is pretty unparalleled in its expressiveness. Set over some sunny acoustic chords, when those soulful backing vocals come in to support him in the second verse it’s hard not to get lost in this ode to music itself – Hozier is essentially running through a list of his favourite songs in the lyrics. Hozier has mastered this inexplicable thing in quite a few of his songs, this kind of eerie feeling as he sings some powerful, larger-than-life lyrics in a minor key. “Movement” displays this perfectly as he sings about the effect his partner’s love has on him, but even as he’s celebrating it he sounds almost a little scared of it, an all-encompassing thing about to take over his body and make him do involuntary things – that’s the vibe that almost all of Hozier’s big-concept songs give off. It’s a pretty good formula to follow. The longer track “No Plan” is another soulful jam session that keeps a strong start going. I love that fuzzy lead guitar, reminds of a Black Keys song. As the project progresses and we hit the middle section, we get an opportunity to focus a lot more on that beautiful tone with a series of calmer songs beginning with the dramatic and minimal “As It Was”. This track sounds almost like something out of Lord of the Rings as Hozier seems to be singing about a love that persisted through some unknown dark and evil fog: “the otherness came”, he ominously sings. It’s an absolutely chilling song. “Talk” is another pretty strong track by the delivery of those background “hey-yeaaaaa”s alone. There are certainly a couple tracks here that don’t quite hit the same level of gravitas that I come to expect from a Hozier song, or serve as a tonal counterpart to an earlier track that doesn’t hit quite as hard. The chorus of the track “To Noise Making (Sing)” is seriously awkward, replacing Hozier’s usual strong lyricism with the repetition of a single word, and the way the backing vocals in a nasal higher octave are mixed louder than Hozier’s own voice is a strange choice. By the time we get to tracks like “Be” and “Sunlight” at the end of the album’s runtime and we start to hear the same crunchy effects on the guitar and the same tactics of extending those higher, choral notes in the background that we’ve heard elsewhere in the album, I start to wonder if it needed to be this long. Nonetheless, Hozier’s voice is always a treat to listen to regardless. “Would That I” is a great, emotionally delivered track that breaks up the monotony at the end as well. The opening run of 4 tracks on this thing alone is enough to make me wonder why I’ve seen some of the more mixed reviews on this project floating around on the internet. Hozier is a refreshing presence in the world of mainstream music and I sincerely hope he’s not gone for as long until the next one. Pittsburgh rapper Wiz Khalifa has been seriously prolific coming out with projects over the past couple of years, and he’s back in a team-up with veteran rapper Curren$y. The two previously joined forces for one of the best songs on Khalifa’s last album Rolling Papers 2. The dynamic between the two still holds up here, but 2009 mostly falls victim to the curse most rap collaboration tapes do. Most of the project sounds like it was conceived rather quickly, the song lengths rather short and ending before they really get going. Khalifa is charming as ever at times and Curren$y brings a surprise amount of technical skill, but can we stop with the trend of these rushed hip-hop collaboration projects? The project opens with the track “Garage Talk”, and I’m starting to be very convinced over the last couple projects that Wiz Khalifa is at his best when he’s pulling from older-school techniques – he drops a great, animated verse on the 90s-influenced track “The Life” as well – There’s something about his slower flow, blunt delivery, and personality-infused bars that doesn’t fit in with the pretending-not-to-care generation of new school SoundCloud rappers – though he tries to a lot more often than he should. The beat here is an endlessly fun boom-bap loop that Wiz and Curren$y both play pretty straight as they tap into that bounce. And then of course we immediately drop off a cliff into the hazy smoke clouds of “10 Piece”, Curren$y opening the slowly creeping instrumental slurring his words a little off the beat. Khalifa fares a little better, but the instrumental doesn’t fit his livelier mic presence. A lot of the project unfortunately falls into this lower-key vibe, and I guess I should come to expect it from them at this point. When the subject matter essentially revolves around one thing, can I blame the two for adapting their sound to a chilled-out smoke session? For everyone else, though, it’s not enough to be compelling or exciting. The next track, “Benz Boys”, is similar, misusing a Ty Dolla $ign feature as he fades into the background. 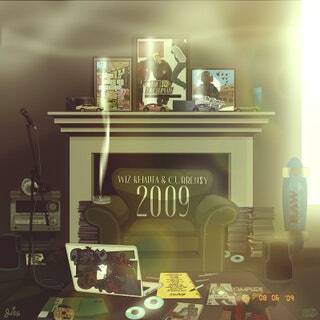 It’s unfortunate as well that most of the best tracks on this project are also some of the shortest. Curren$y isn’t on top of his game for most of this project, but he definitely finds his groove on the beat of “Eastside”, which livens up the contemplative synth lines with a quicker hi-hat pattern, though each rapper only drops a single, short verse. The next track “From The Start” is even shorter, and it’s easily the best instrumental on the whole project, calling back to the G-funk era with a rubbery bassline and some soulful female vocals thrown into the mix. Why did they give so much more time to their sluggish weed raps? Wiz Khalifa exists in such a strange place for me – Curren$y at least knows his role, but Khalifa’s delivery seems so much better suited for goofy rap tracks that don’t take themselves too seriously. If he doesn’t know where his true strengths lie, why does he always drop these tiny moments displaying them? Most of the tracks at the end of the project don’t do much to surprise either – the track “Getting Loose” is probably one of the closest attempts to a modern-sounding rap track here, but the hook from Problem is delivered like he’s half-asleep, offsetting the one time across this whole project Curren$y actually sounds like he’s trying, while “Stoned Gentleman” is just as lethargic as you might expect. “First Or Last”, yet another fun old-school track that references Ricky Bobby and complements Khalifa’s best sensibilities, is the highlight as the album winds down. I essentially stole my rating system from Anthony Fantano, and if this was one of his videos I would probably slap that huge red NOT GOOD across the screen for when there’s not even enough substance to the album that he can even bother to give it a score. Too many of these ideas don’t come together, or are simply too sleepy to be interesting. Get fun again, Wiz! The quintessential Canadian pop-rock singer, Avril Lavigne has released her first album in 6 years after being absolutely memed to death for some of her past material and going through a struggle with Lyme disease. Seeing this album perform so well commercially was a nice sight to see after all that Lavigne has been through over the years, but is it any good? 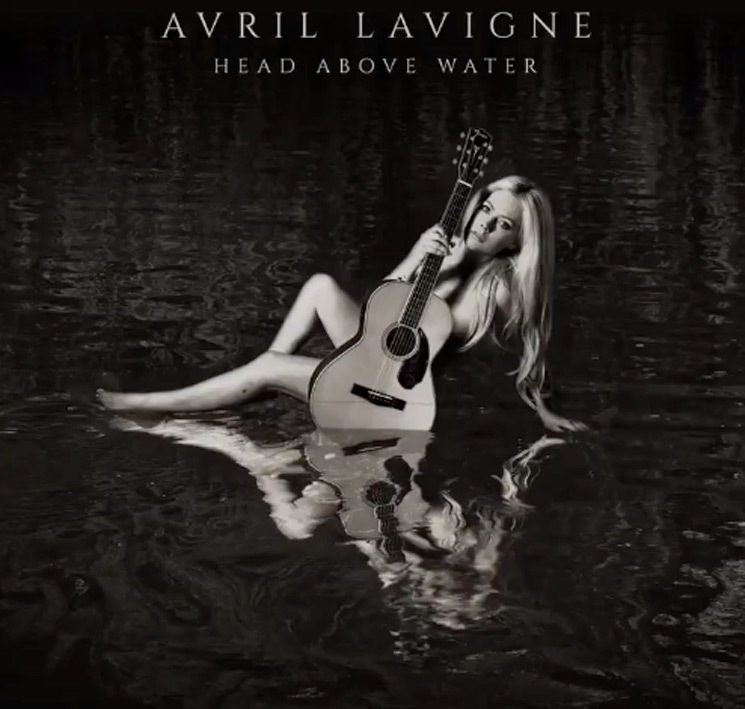 Lead single “Head Above Water” was met with a lot of pleasant surprise online, and most of the project follows a similar, more subdued singer-songwriter angle. While some of the lyrics relating to her real-life health struggles can be genuinely moving and emotional, past a couple particularly inspired tracks most of the album unfortunately falls back into awkward songwriting and bland and outdated instrumentation. Let’s talk about that lead single, though! “Head Above Water” is a dramatic and emotional ballad with high stakes that Lavigne absolutely sells with her genuine delivery – it’s clear that this was written in the midst of a seriously terrifying time for her. The way the orchestral aspects swell in make the track very reminiscent of something like Kesha’s comeback single “Praying”, another singer mostly written off as a joke that comes back with a knockout ballad about a difficult subject. The track found a lot of success on Christian radio, Lavigne calling out to the divine to save her from an early death. Some of those lyrics are incredibly harrowing. While most of the rest of the tracks on the album follow a similar overall vibe, many of them also introduce a lot more elements of traditional pop music and sound like they’re stuck in the past. We immediately transition to the track “Birdie” after this, which sounds similar except for the introduction of these Imagine Dragons-esque booming drums and a shimmering synth line that sounds like it’s straight out of 2009. It’s almost as if hearing what Lavigne is capable of on the opening track it feels wrong hearing her on some more dumbed down material. It sounds like the track refers to similar events, but refers to it in much more ambiguous terms and a caged bird metaphor we’ve heard in endless pop tracks. Then of course we get to the track “Dumb Blonde” with Nicki Minaj … yikes. I have no idea how this got approved in 2019, and she even released it as a single recently. Featuring one of those obnoxious shouted chants of a chorus that was fun for a little bit 15 years ago (including Lavigne just … fully enunciating the words “I am a freaking cherry bomb”), the drumline percussion and brass section bring to mind another time entirely. Why is someone trying to remake “Hollaback Girl” in 2019? I don’t understand. I can’t help but think this might have been a lot better as an EP, especially when the back half of the project falls into older pop tropes like the “yeah-yeah”s on “Souvenir” and some seriously terrible lyrics on tracks like “Goddess” and “Bigger Wow”. There are quite a few moments here where it’s clear that Lavigne’s producers were trying their hardest to bring back an older star and insert her into the current musical landscape as well, but those don’t quite work either, being too derivative of other works. “Tell Me It’s Over” is a pretty well-written song and should work relatively well as a doo-wop/soul pop ballad – Lavigne’s vocals are seriously soulful! – but the instrumental is just far too close to Rihanna’s “Love On The Brain” to ignore, and the trap beat that they shoehorned in there is pretty laughable and doesn’t fit the tone at all. The greatest strength of this project is the constant reminders we get of how impressive a singer Lavigne actually is after the years of … whatever she was doing in the early parts of the decade. Quite a few of these tracks have this beautiful layering effect where her high notes are at the forefront, but a supporting vocal a full octave down is mixed in pretty perfectly as support. The tracl “I Fell in Love with The Devil” is a great example of the vocal showcase, and the bridge where the layers become more evident and get chopped up is one of the best moments on the project. “It Was In Me” is another track that breaks through emotionally despite its datedness – it really sounds like Lavigne’s older track “Keep Holding On”, but it really works as a kind of career retrospective, speaking about finding little fulfillment from the fame and fortune and learning to believe in herself and her musical abilities through the tough times. A lot of these tracks really do have aspects of something great, just held back by one different misguided thing on each one of them. If nothing else, it’s great to hear Lavigne sounding so good after all this time, but in terms of the current musical conversation it doesn’t really fit. Synthpop artist Betty Who’s 3rd studio album and first since departing from RCA Records, wanting to release music at a faster pace than the label deal would let her, mostly brings back the same personnel that made The Valley so great and delivers another solid project full of upbeat and sugary, if not the most innovative, pop tracks. She’s been releasing singles since January 2018, but the final product here is pretty cohesive and meets expectations of the sheer sense of fun that her pure pop approach has delivered in the past – it just sounds almost a little too similar to her previous work. The shorter track “Old Me” kicks things off and drops us directly back into Betty Who’s world, following a tried-and-true yet undeniably joyous and funky twist on traditional pop formulas. A bouncy bassline slinks around some higher-pitched synths and Who’s harmonized and summery vocals before the 90s piano chords kick in and the synths cascade for the chorus. I wish this track was so much longer, but its an absolutely excellent way to draw listeners in as it transitions to “Do With It”, as Who finally succumbs to the trends and puts some trap hi-hats on her song. She has enough of a unique approach to make it a lot of fun though, her excellent ear for harmonies appearing again in the build-up to the chorus, the music cutting out and featuring her a cappella harmonized chords. In a world where genres are quickly becoming a thing of the past, there aren’t many artists left who are so obviously gifted for making retro-pop but Who is certainly one of them. It’s a nostalgic feeling that makes it hard to legitimately criticize since it’s almost formulaically engineered to put a carefree smile on your face. Continuing with the strong start, “Just Thought You Should Know” sees another angle that we haven’t really seen from her – she’s got the 90s high-octane dance tracks down, but this sounds just like those slower, passionate boy band tracks that still manage to hit the same kind of pop euphoria, and she pulls it off pretty perfectly complete with the retro percussion sounds in the mix. Later in the tracklisting we get some more of the slight innovations that keep the project interesting. I really enjoy what she’s going for on “Language”, a much lower-key track that coasts on the strength of Who’s rhythmic delivery more than a sparkly, distracting instrumental, presenting a quieter tropical vibe instead. “All This Woman” is another one that easily stands out for being unique, sounding like an old Justin Timberlake track with its Spanish guitar picking and jazzier harmonies – oh yeah, and that bridge that completely rips off “Cry Me A River”. Oops. It’s a compelling track regardless, even if the Timberlake similarities are pretty impossible to ignore on later track “The One” as well. “Between You & Me” is another standout, taking a similar 90s pop chord progression but coming at it with acoustics instead, showing off the sweeter parts of Who’s voice. There are a couple moments where it falls just slightly short of what Who achieved on The Valley – particularly a few tracks where the instrumentals start to feel tiring listening to 13 straight songs of breakneck tempos. They’re still a lot of fun, but when Who doesn’t come as hard with her vocal delivery the high-speed and energetic feel of the track doesn’t feel as earned. On “I Remember” she goes for a breathier, seductive angle but the click-clack of the percussion is going by at warp speed and it doesn’t really fit. “Marry Me” kind of feels like a filler track only 5 songs in as well, it feels like we got the same kind of syncopated piano chords on a better structured song only a few songs ago. Most of these tracks would work fantastic on their own regardless, it’s just in the album format that they fall flat. Once we get to tracks like “Ignore Me” and “Whisper” at the end, the similarities start to show. Betty is another strong project from the Australian singer that’s only really held back by listening to all of the songs in a row. Really, there’s not many more people with a better ear for pop music right now.